After leaving St. Mark, Green Bay, I attended high school in Oconto Falls. Making friends wasn’t hard to do, as I am a people person.. I began working at Arby’s in Abrams my sophomore year and worked there til graduation in 2009. 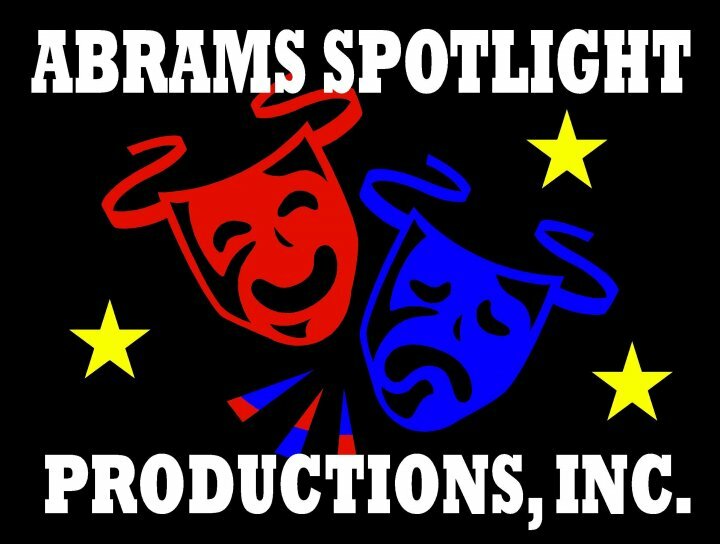 In high school, I also became involved with Abrams Spotlight Productions Inc. I don’t know what possessed me to join, but one day I was riding my bike passed the town hall and knew they had practice. I went in and asked if they were looking for anymore parts in the play, they said no but they wouldn’t mind having someone there to help with lines and what not. I was then considered the ” assistant director”. After The Legend of Robin Hood… Sort of, I decided to continue on and keep doing plays. Through out my high school career I was involved in many productions, both plays & musicals including:Aladdin,Look Out Olympus, Queen of the Silent Scream, Snow White & the Seven Dwarfs, Spotlight Spectacular I, Unwrapped, The Rented Christmas, and Oz- The Musical. I even was helped in part of getting the former St. Louis Catholic Church for the theater group to finally house the organization, rather then traveling back and forth between the Abrams Town Hall, and the Morgan Town Hall. Lots of work had gone into that theater and it couldn’t have been done with out the wonderful people that helped by donating time, talent or funds. Many of these people are still involved in the theater to this day. Since high school, I still acted in plays and musicals including, Bah! Humbug, Arthur & Guenivere and also recently The Truth About Cinderella, making my total at this point to be 12 productions. Throughout high school, I was friend with Erin Thompson, and actually had her run for Abrams Day Queen and also got her involved with the theatre group. She was as shy as a fly before any of this and it actually broke her shell some what and she kinda opened up. It brought out her acting skills and helped her shape a personality she had not had before. After a while, I became a friend of the family and just became like family over there.My Junior year, Her grandmother’s health declined, and they found out she was not going to last much longer.I can remember Erin’s mom talking about the priest coming and doing her Last Rights. I was so fascinated to learn about the Catholic faith. 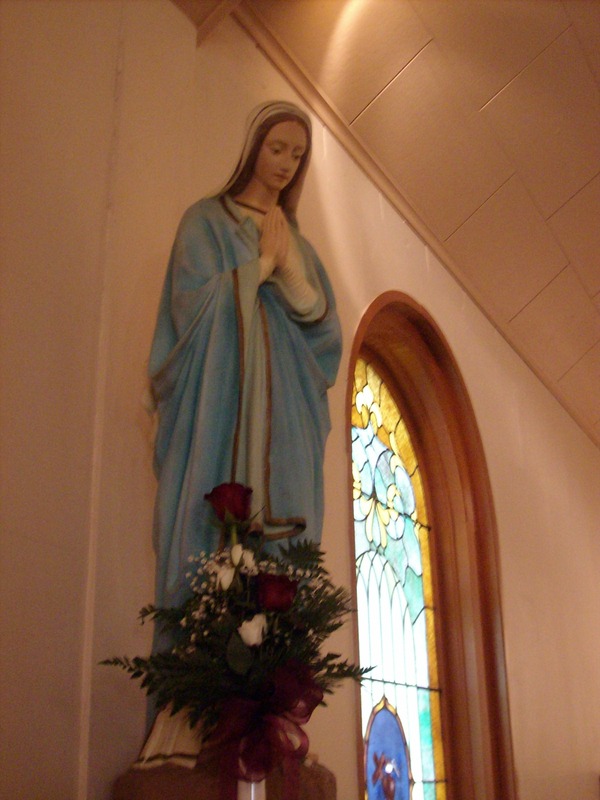 I attended the funeral and began to love the Catholic Hymns played at the funeral. The next day was the mass at St. Patrick’s Catholic Church, Stiles. I can remember sitting there in the church thinking “Oh God! I’m not going to know what to do!” I was confused about the whole set up of the stand, sit, and kneel, but knew the sign of the cross well, however I did not go up for Communion. I don’t recall at this point what the priest, Fr. Patrick, had to say, but I remember at the time I thought it was so inspirational! How could God send someone as faithful to God’s word- and so many things being Biblical- to hell?? This opened up a new door in my life. I did not start going to Mass regularly at this point, but the following Palm Sunday I began my journey into, what I did not know at the time, the largest Christian denomination in the world….